Hire DJ Opus! What more could you ask for? With someone with over 15 years of experience to handle your event and ensure it becomes a success? That’s what we do here at Opus Productions. A Utah DJ that understands the needs of the demographics. From music to lighting to being an MC, we can do it all. We will be as hands on or hands off as you’d like. Opus Productions was founded in 2002 as a unique service for events in Northern Utah. 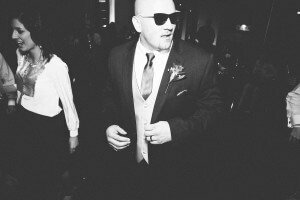 Since then, DJ Opus has become one of Utah’s top customer service companies that provides a DJ for weddings, parties and dances throughout the state. Knowing our audience is what sets up apart from everyone else. We have no doubt we will take care of every single need you have for your event. DJ Opus has had his finger on the pulse of the music industry for over a decade. Ensuring that you have the music that you want and the atmosphere that you need at any event. With over 30,000 songs in his growing music collection, you can rest assured that your tastes will be met and your expectations exceeded at your event. As a wedding DJ, DJ Opus provides a variety of services for your special day from music to full emcee assistance. All wedding packages come with a free hour-long consultation. Each where you can voice your needs and wants for your big day and DJ Opus can make them happen. With full lighting and sound capabilities, Opus Productions is a one-stop-shop for all of your wedding entertainment needs. Bring your style, with our skills and talent to your wedding or special event. Hence, as some people like to put it; “They also had the father-daughter, mother-son dance, and bride-groom dance but what was really special was the bride-son dance. DJ Opus with Opus Productions, got the party started and the dance floor was filled all night long.” We like to create moments like this where it’s not always the typical type situations but whatever your vision is, we will help bring it to life. These precious moments can be hard to do without a DJ to help. The flow of the event is to make sure you have someone who can take care of you constantly. We provide a free hour consultation for all of our future customers to ensure that the event will go as planned. Contact us now!